Use a coupon code RSVP to an upcoming event visit your website to read about new products Once you have established your call for action, try to think about how you can lead readers to it without sounding too pushy. The Subject Line Like you, your subscribers likely scan their email inbox looking to clean it out and delete unwanted mails. Do not give them an excuse to delete your newsletter. When writing your subject line, use these rules of thumb. 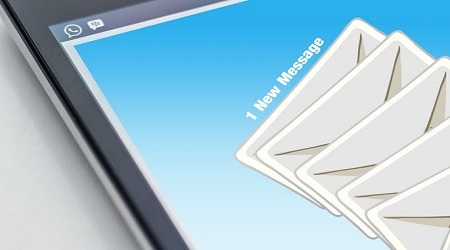 People are more likely to open emails with a timely or enticing premise in the title. Good subject lines are attention-grabbing and thought-provoking. Your subject line should be between 5 and 7 words long and do not use all capital letters and beware of using exclamation points. They can make your email look like spam and many email services will block it. What are the best practice? Choose great images for your newsletter. They should be relevant to your business, interesting or beautiful to look at. (Or you can just use kittens or babies.) Pictures are a great way to catch your readers’ attention and encourage them to keep reading. When coupled with a interesting title, it works and go a long way and increases open rates. Use compelling, original images in high resolution or kittens. Content is key to achieving your goal. Here are quick tips how to create a good content. Always make sure about your newsletters and share either by timely, educational or some valuable content. Do not just write anything and fill up the page. Instead break you newsletter into small paragraphs with headers. Long paragraphs can cause readers’ eyes to quickly glaze over. Get to the point and write only as much as you need to get the message across. Keep jargon out and don’t try to show off, it is not a term paper. Use a casual, but professional tone and be friendly and informative. Fill your emails with interesting and relevant articles, tips, and links to great websites or inspirational ideas. Vary the content in each of your newsletters to keep them fresh. Write content worth reading. Before sending always remember to think about the timing and frequency. Don’t exhaust your subscribers with constant emails. They will unsubscribe. And always try to keep your promise and stick to a regular schedule. If you have promised for a monthly newsletter chock full of tips or coupons and keep your promise. Send out newsletters in the morning, ideally on a work day. That way, they have the best chance of being read. Weekend emails sent on Friday afternoon can easily make your subscribers buried into your emails. Always try to send your newsletters once or on Monday or Tuesday morning.